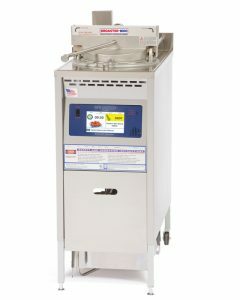 Broaster Pressure Fryers are known around the world for quality, high output and years of dependable, trouble-free operation. Learn about the features and benefits that can help set your business apart. Use less oil over time: Decreasing oil absorption also results in extending the oil’s useful life and reducing your oil costs. 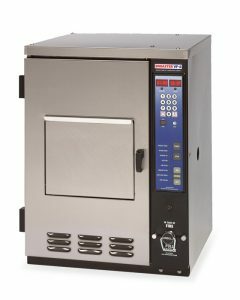 This can represent a big savings over ordinary deep fryer cooking. 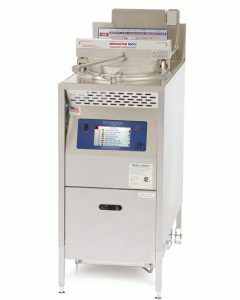 No flavor transfer: Since very little oil is transferred into foods in a Broaster Pressure Fryer, there is virtually no flavor transfer among product loads. 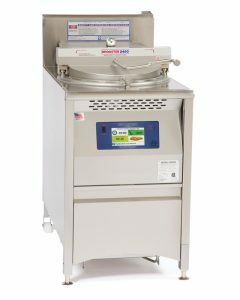 Faster, more even cooking: Broaster Pressure Fryers feature a patented round cooking well design that eliminates hot spots and provides superior heat distribution. 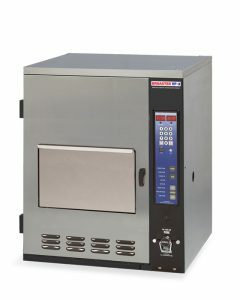 The result is decreased turn times and less product waste. 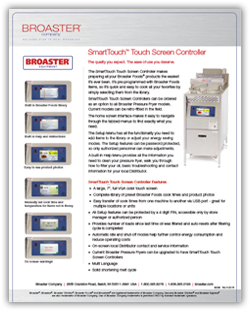 SmartTouchTM Touch Screen Controllers are intiutive and easy to use.